I love this. This is the rule that stands in our house too! There is just a nice ritual about decorating over the long Thanksgiving Holiday. Plus, Thanksgiving is truly one of my favorite holidays. And I always host the special meal at my house. So…it would look really funny if my halls were already decorated for Christmas while the family was seated around the table eating our Thanksgiving feast. But…that does not mean that the holiday menu planning has to wait. I know that I, along with many of my food-blogging friends have already started thinking of the fun gluten free and allergy friendly recipes we are going to be sharing with all of you. We are already making plans to help you get ready for a…. Hosted by Amy, over at Simply Sugar and Gluten Free. It’s the second year of celebrating the holiday season totally gluten-free! With a weekly themed link-up event and fabulous cookbook give-aways! The holidays are stressful enough without worrying whether your gluten-free pie crust or your Apple Spice Cake will turn out. We want to make this season as easy as possible by sharing our favorite kitchen tested gluten-free recipes. And, of course you! If you weren’t there it just wouldn’t be a holiday celebration. 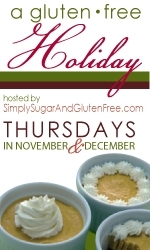 On Thursdays in November and December, a different gluten-free blogger will host a link-up event where you can share your best gluten-free holiday dishes and browse for recipes to add to your menu. Every week we’ll have a give-away, too. You can link up or leave a comment to enter. With cookies and rich meals all around during the holiday season, it’s smart to think about how to stay healthy. Bring your favorite healthier dish to SS&GF. Or, share your secrets for maintaining your sanity and health during the holiday hustle and bustle. This is my very favorite week of the event. There’s nothing that says love like a gift from the kitchen. Share your top tips for making treats to give, along with how you package them too! Bring your family’s favorite entrees and sides for Christmas and Hanukkah. We want to see the savory dishes your family loves the most. Or, experiment with a new recipe and bring it to Hallie’s. Share a recipe that holds special memories for you. Help someone else find the perfect dish for their holiday breakfast or brunch. Just like it sounds – bring Maggie your favorite gluten-free dessert for all to share. Cookies, pies, truffles, cakes, and candies….we want to try them all. Get your recipe box and cookbooks out. 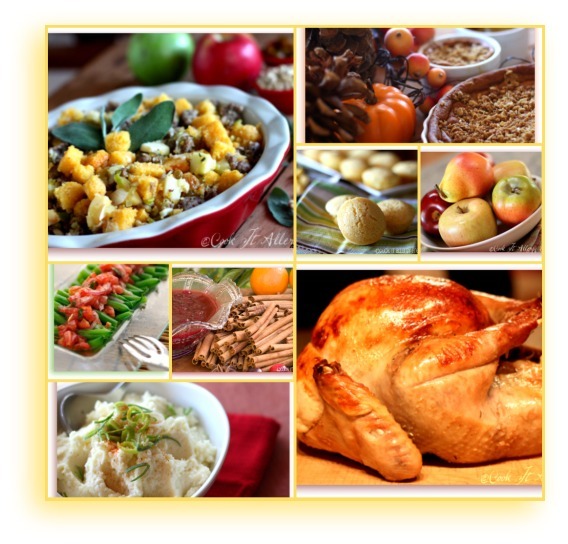 Start browsing…then get in the kitchen and start cooking for the best ever gluten-free holiday! Oh, and soon I will also be recapping my Allergy-Friendly Thanksgiving Prep Series with a full menu and even the Shopping List to get it all done. That’s our rule too! I love all three of the holidays coming up and really, they deserve their time! Thanks for sharing this! I’m definitely going to love doing this link up! We only have Christmas to celebrate over here, so I like to go all out with my tree and decorations! The weekly theme sounds like a great idea and I look forward to it! I love that sign! Its not a rule at my house because it is one of those things so elemantal there doesn’t have to be a rule about it! 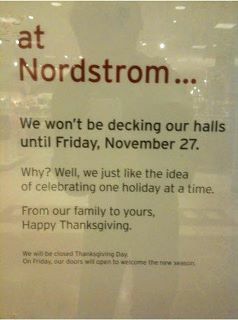 Besides Thanksgiving is my fav holiday! Cant wait to see all the fab recipes! This sounds fabulous! I have a few recipes I would like to contribute and can’t wait to add more to my list from all of you wonderful bloggers!